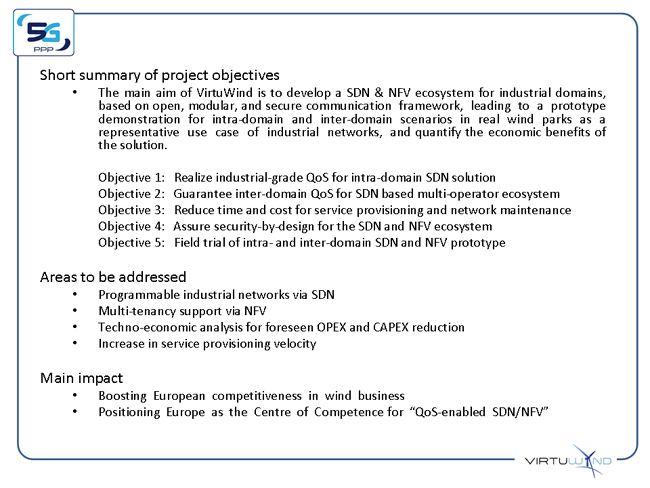 The VirtuWind project is one of the 5G-PPP phase-1 projects under the Horizon 2020 framework. 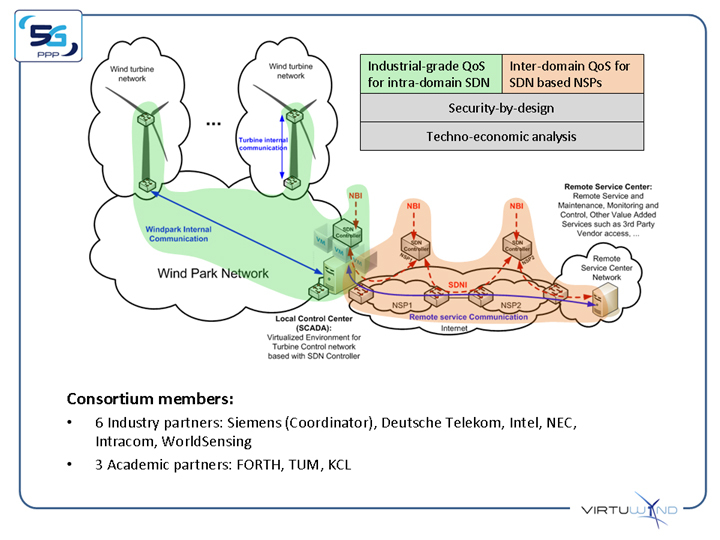 With anticipated exponential growth of connected devices, future networks require an open solutions architecture facilitated by standards and a strong ecosystem. Such devices need an easy interface to the connected network to request the kind of communication service characterized by guarantees about bandwidth, delay, jitter, packet loss or redundancy. 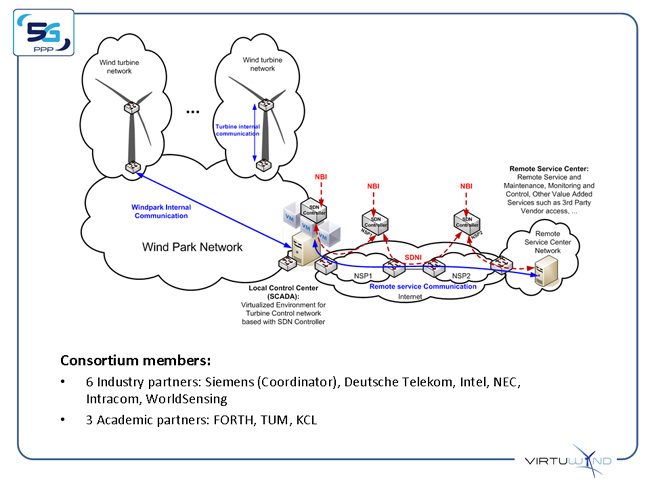 In response, the network should grant the requested network resources automatically and program the intermediate networking devices based on device profile and privileges. Similar requirement also comes from business applications where application itself asks for particular network resources based on its needs. 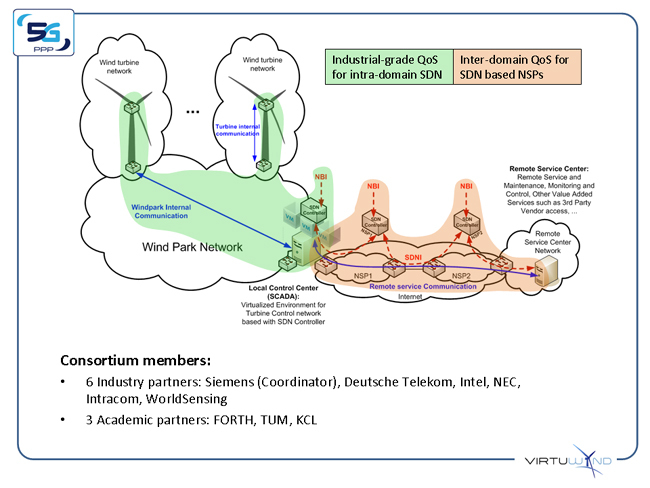 Software Defined Networking (SDN) and Network Function Virtualisation (NFV) provide promising combination leading to programmable connectivity, rapid service provisioning and service chaining. 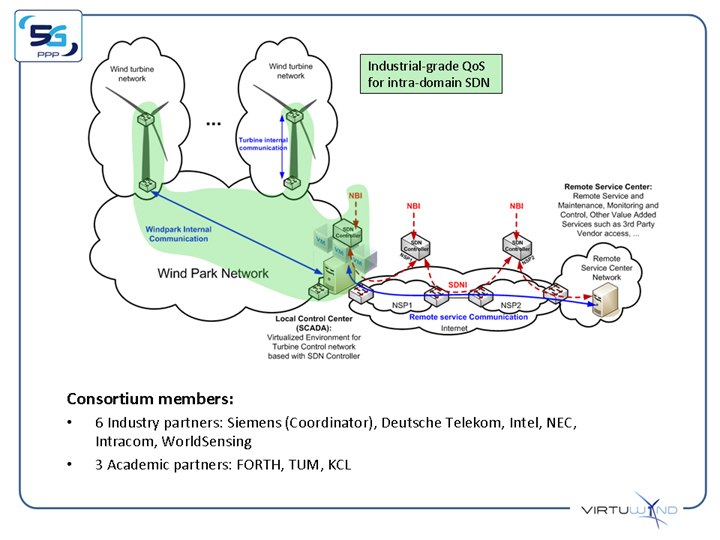 The VirtuWind consortium consists of strong industry and academic partners covering the whole value chain of programmable networks. The consortium is striving for a common vision of creating industrial capability of SDN/NFV in Europe.